Home renovation shows can get many people thinking about becoming a professional flipper, but not all people are cut out for the job. 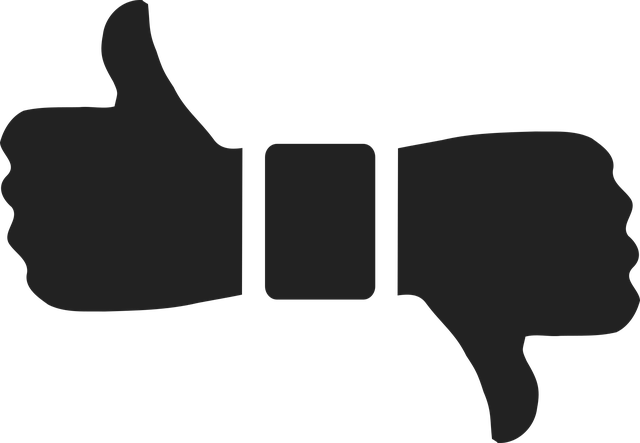 I personally like watching home reno shows, so even though I realize that the so called reality shows are not always reality, I still give them a thumbs up for entertainment value. When it comes to home renovations it is seldom as easy as it might seem or as some TV shows make it out to be. Often when I am tackling a home renovation project I start to think that I must be the only person in the world who gets upset while doing reno work. I mean, nobody on those TV shows seems to get as agitated as I do at times. Sure they might say “oh no” from time to time when things are not going as they hoped, but do they react the same way on the job when the camera isn’t recording them? Don’t get me wrong. Home flips and renovations can be excellent. However, most often they are excellent when the right person is involved with the job. What’s Your Favourite Home Reno Show? My favourite home reno show is Fixer Upper. I like Chip and Joanna Gaines, but I do wonder if Chip ever freaks out when the camera isn’t on him. Chip is so calm and cheerful all the time, he is kind of like my super hero of renovators. I dream of being that pleasant on my next reno attempt. 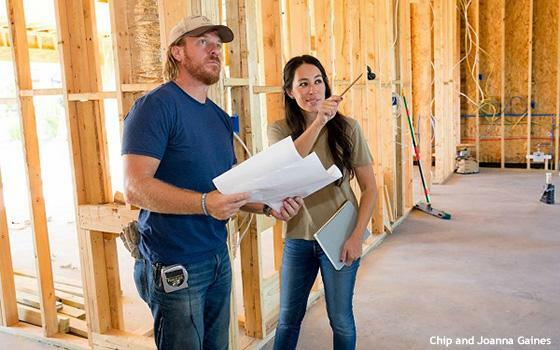 Insider gave thumbs up for 12 of the best home makeover shows ever made, but my favourite – Fixer Upper – only comes in at number four on their list. Where does your favourite rank in the standing? See the complete list here. 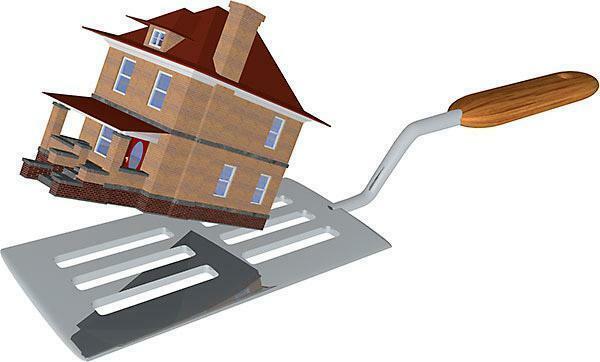 Here a three things to think about if you are considering purchasing a home to flip. You don’t often see these things unfold on a reality home renovation show. 1) Home sales don’t often close as quickly or easily as displayed on TV. There’s so much more to buying or selling a home than what is often outlined on TV shows. So called reality home shows, seldom show the difficult back and forth negotiations and counter offers. 2) TV shows don’t include the terms of agreement. Getting an offer accepted is only the start of the process. After that the hard part starts with the seller hoping everything comes together, while the buyer has to go through final financing approval which can include a bank appraisal, and then there’s the inspections and hopefully all the work that was done is up to code and has permits because you could be asked for them. We don’t see those things unfold on a home renovation show because those steps have far less drama and excitement. No half hour TV show would ever devote time to getting a mortgage approved. Even shows like Million Dollar Listing’s don’t show Josh Altman handling a surprise low appraisal from a bank or buyers getting turned down for a mortgage. 3) Whether you want to believe it or not, the TV shows are staged. All this being said, if you are the right person for a home flip and are interest in such a home, contact me and I would be happy to provide you with a hotlist of homes and full details on available need some work properties. 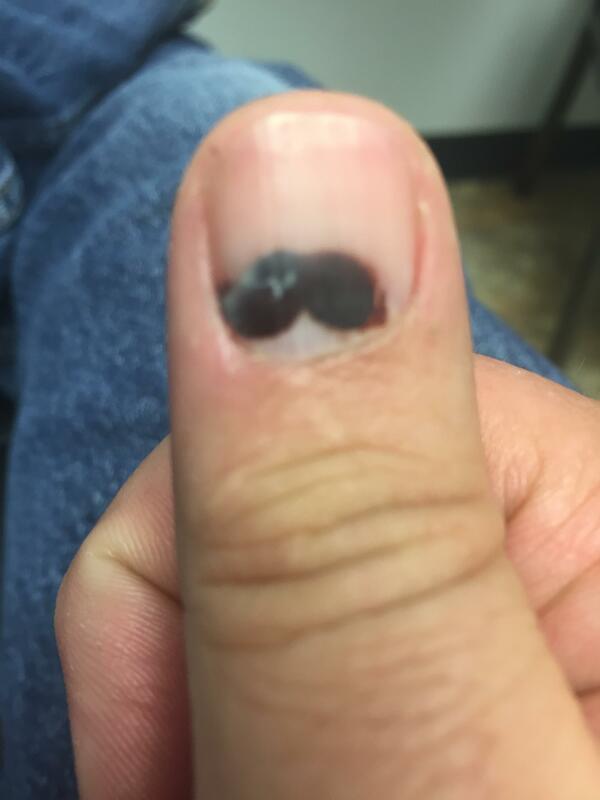 We might even be able to compare our thumbnails. 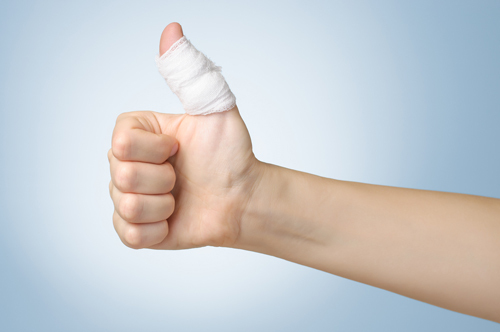 Personally, I give thumbs up for most of the home renovation shows for their entertainment value in particular. For most people, doing the dishes is not one of the top pleasures in life and you might think that is the main reason someone invented the dishwasher. Strangely enough, that is not the story behind the invention. 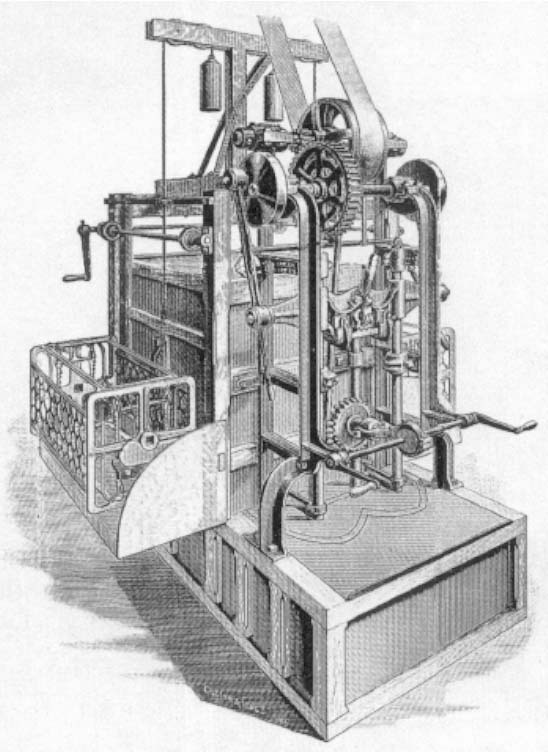 Josephine Garis Cochran invented the first useful dishwasher in Shelbyville, Ill., and received a patent in 1886 for her invention. 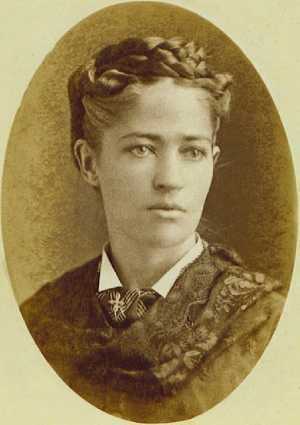 Cochrane, was a wealthy woman who entertained often, but as a wealthy women she didn’t do the dishes. 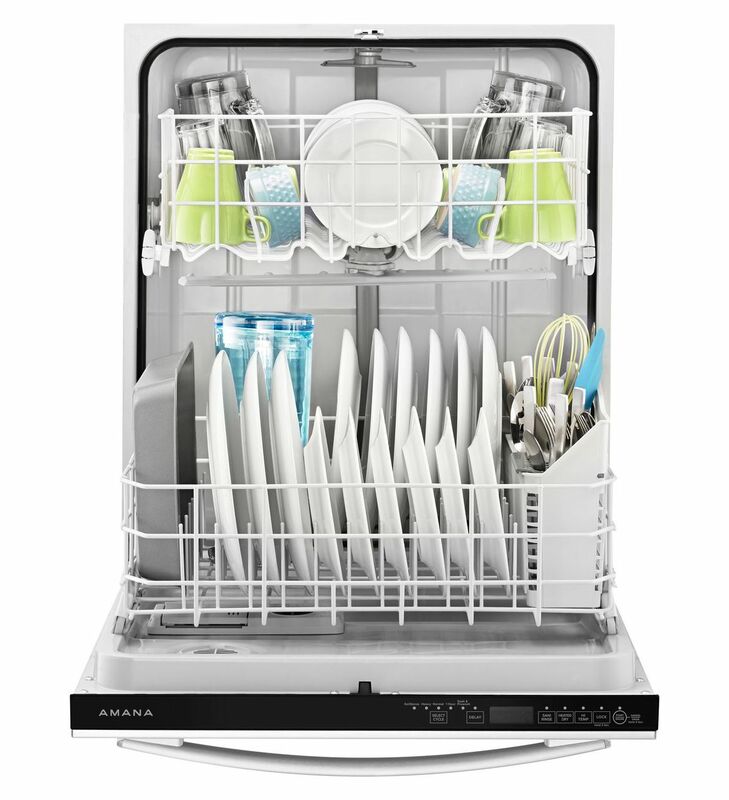 To each their own when it comes to dishwashers, but if you do use a dishwasher (insert joke about your spouse) do you rinse off the dishes ahead of time or just scrape them and let the dishwasher do what it is supposed to do? I ask this question, because my wife has taught me that when using the dishwasher, I must rinse the dishes totally clean before they go into the dishwasher. Even though dishwashers have come a long way, I often think to myself that our dishes are so clean when they go into the dishwasher that even Josephine Cochran’s 1886 dishwasher would probably work for us. Take a look at that first dishwasher. Doesn’t really fit in with a granite countertop and no, it didn’t come in stainless steel. So let me get to the point and ask you two questions. 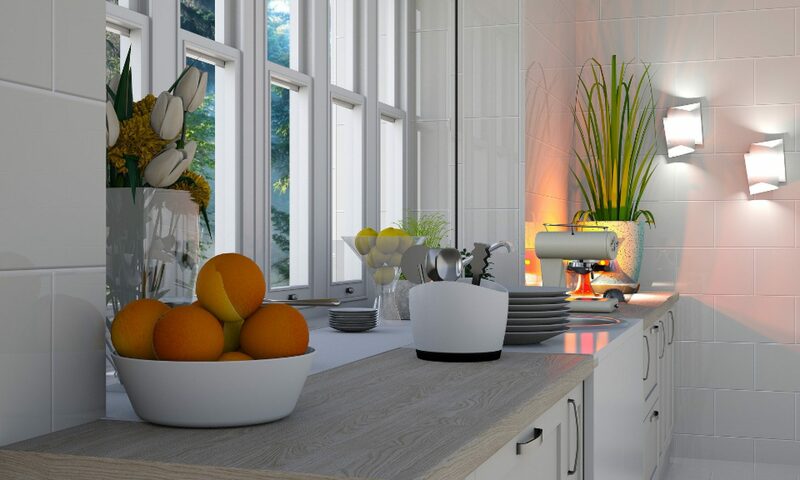 If you were to buy another home, is a dishwasher a must have for you? Scrape, but do not rinse the dishes off before you put them in the dishwasher. So are you wasting energy and water while washing your dishes? Come clean with these simple tips from the experts at Duke Energy. We are often faced with a living room or family room that is twice as long as it is wide. The dilemma is how to arrange the furniture so you can enjoy the focal point(s) that might exist in the room. Although the layout of a room is always a personal choice, when it comes time to sell your home you need to think about what is most appealing, to the majority of people, which might not always be what you would normally choose to do. 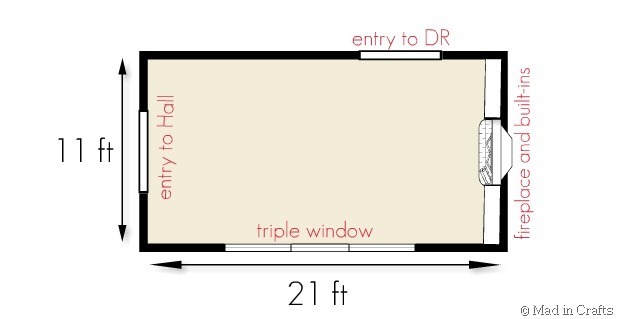 Above is a picture of a room one Pinterest user by the name of Jessica posted and below are all the possible layouts she thought about for her long, narrow living room. With that in mind, take a look at her layout choices below and vote for what you like or dislike. Your vote combined with all the votes of others will help to provide an idea on what is the most appealing layout for this type of room. If you are planning to sell a home with a long and narrow family room or rec room, check back to get an update on what is the most appealing layout. After all, those who vote might be the same buyers who come to view your home when you go to sell. If you’re planning to sell your home contact me for a FREE consultation on the things you can do and the things you don’t have to do to sell your home quickly and for the most amount of money. Thanks for voting and below are Jessica’s options up for consideration. Home renovations are often made possible through a HELOC loan, but there is a warning before you plan the renovations if that is where the money is coming form. A new survey indicates that over a quarter of home owners had a home equity line of credit (HELOC). 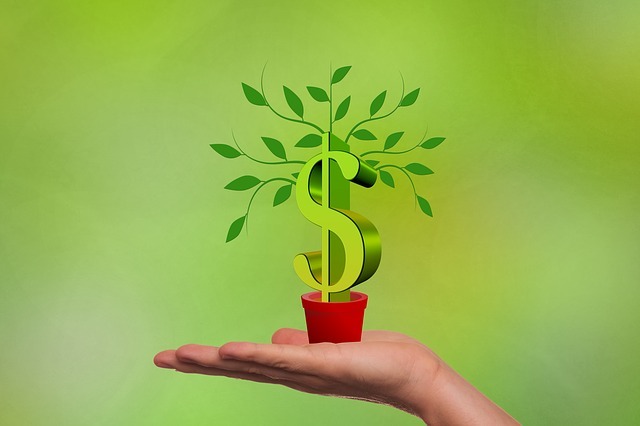 With a HELOC, you have the ability to borrow or draw money multiple times from an available maximum amount of credit the lender has in place for you. What is alarming is that around a quarter of the people who have used their line of credit had a range of five years to not knowing at all when they could repay it and one-quarter always or mostly only make the minimum monthly interest payment. As well, thirteen percent of HELOC holders admit that they are often using their home equity line of credit to meet payments on their mortgage and credit cards and another 16 per cent said they sometimes have to do this. A HELOC can be a great thing to have in place, but what is frightening about using a HELOC (with no solid plan in place on repayment) is highlighted by Canada Mortgage and Housing Corp who report that two-thirds of the HELOC loans in place in 2018 had an average balance of $97,000. The warning for homeowners is clear. If you don’t have a good plan in place to be able to pay off the HELOC within three to five years, then you need to look at other options in an emergency and forego the spending for things like renovations that can wait and those things that you can live without. The full story can be found in this Globe and Mail article. It is highly unlikely you would want a home buyer to walk away after viewing your home and describe it as chaotic and disorderly. Yet that is what many home buyers looking for their next home feel about many of the homes for sale that they see, even though they might not say it out loud. Researchers are actually learning that a cluttered home leads to a stressful home and the last thing a home buyer wants is more stress, so falling in love with a cluttered home is a tough thing to do for a home buyer. Read the entire New York Times article “The Unbearable Heaviness of Clutter” here. 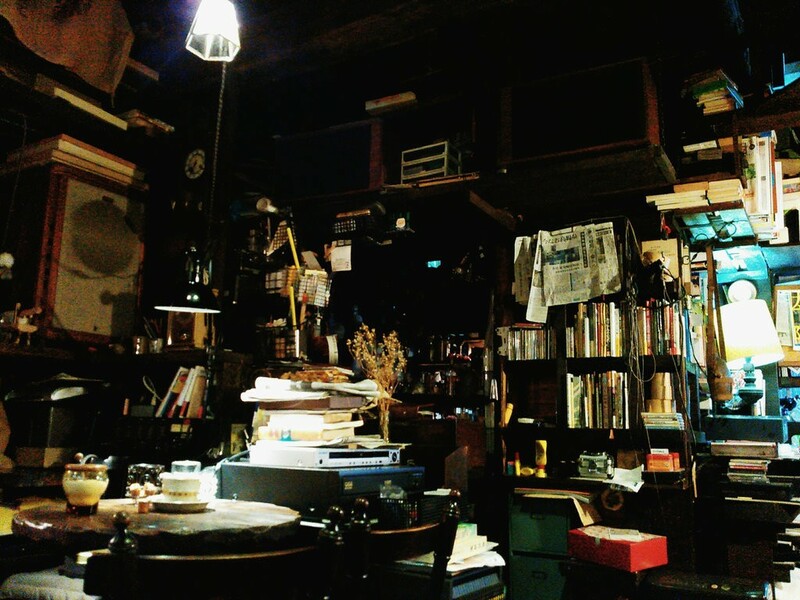 Strangely enough, clutter is in the eye of the beholder. So getting a clear understanding of what you should do and what you don’t have to do when it comes to clutter is priceless because it can mean the difference of not selling your home and selling your home for the most amount of money. For a free consultation on things you can do to the get the most amount of money when it comes time to sell your home, contact me. You are under no obligation for this free consultation. If there is one thing that both small homes and mansions have in common it is when it comes time to sell, a freshly painted and professionally painted home is well worth the investment. Some estimates show that you can expect at least a 50% to 100% return on your investment with opportunities to even double, (or more) your investment when it comes to painting the home. What can often make the difference in the return is how professional the paint job looks. A fresh paint job can go a long way to create added interest in your home especially if you stick to neutral colours. The new paint job makes the home look much cleaner and the neutral colours will attract a larger number of people because they can see themselves moving into the home the way it is. 1. It has been estimated that a staggering 90% of the buyers cannot truly visualize what a house will look like painted another colour. 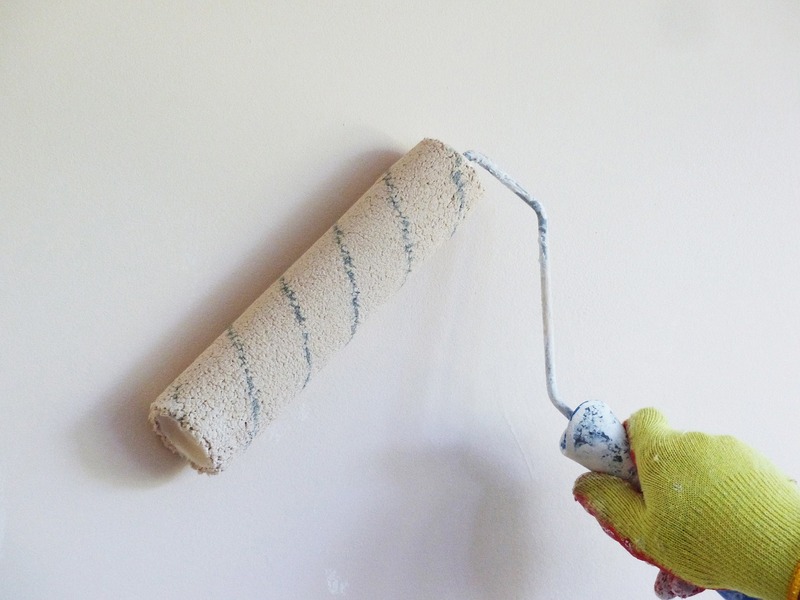 Many buyers cannot see past loud or bright colours and especially or dirty walls. A fresh paint job with neutral colours eliminates this issue. 2. Besides a fresh coat of paint making your home look clean, it is an important step in making it look well maintained. 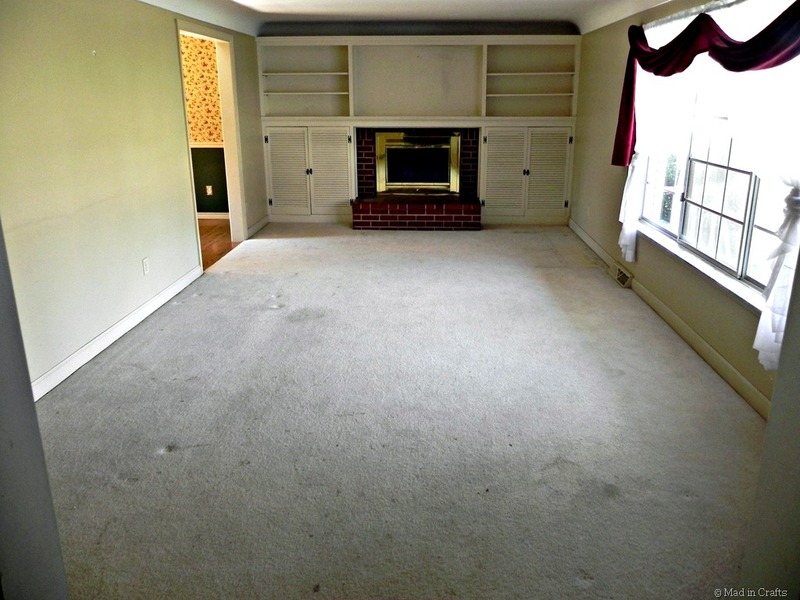 People want to buy a home that looks like it has been loved. 3. Even though a buyer might re-paint to their personal favourite colour, a home freshly painted with neutral colours is something that the majority of people feel they can move in to and live with for a while. 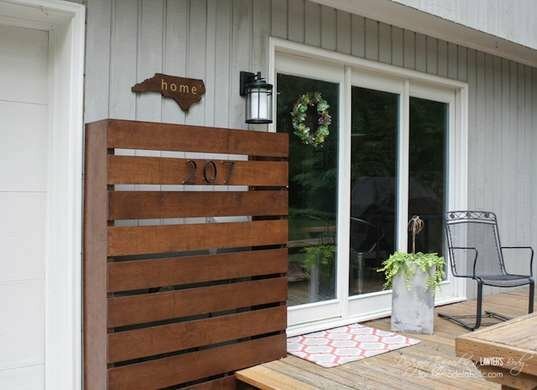 This can make your home more appealing to buyers. 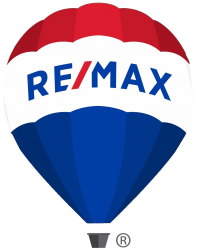 Since we are having the office painted at REMAX Orillia I decided to ask James Dalglish (who has been doing an outstanding job doing our entire building) what the best tip he could give me to help make cutting in a bit easier and better. Here’s what he had to say….. If you’re planning to sell your home in the coming months, now is the time to select a great neutral colour, and as James says pack your patience and give your home interior a fresh coat of paint. Also, remember to clean that brush every 30 or 40 minutes while you’re working. I’ve got to admit I have only cleaned the brush when I’m done for the day, so thanks for that tip James. 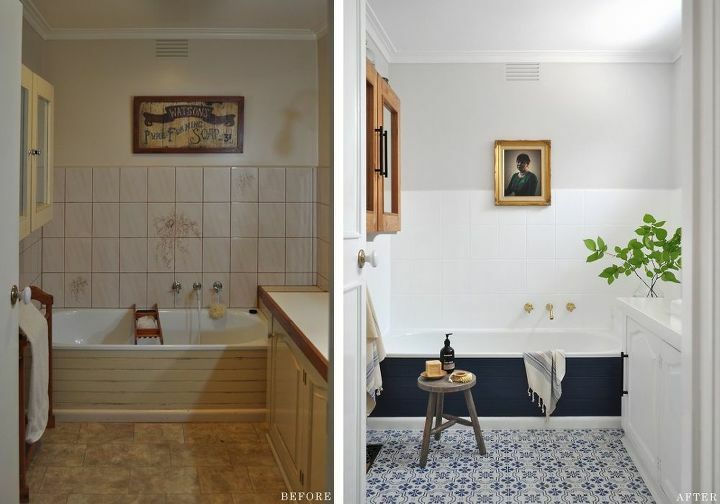 To prove that paint can be a powerful addition to upgrading your home take a look at this before and after bathroom example. Almost everything you see is done with paint including the floor. Get the full story on this redo here. If you’re looking for other tips on the things you should do and the things you don’t have to do to get your home sold fast and for top dollar contact me for a free consultation. When it comes time to renovate your bathroom, there are an endless number of options available to create your own special design. To help get a feel for what is hot and what is not, take the bathroom poll. Vote Yes, No or Mixed Feelings to express your thoughts on the following four creative bathroom options. This idea is created by repurposing a livestock feed tank. The painted galvanized tank certainly becomes a conversation piece, but would you want this in your home? Bathroom #1 - Cattle Feeder Bathtub. Yes. I'd put this in my home. No. I would not put this in my home. 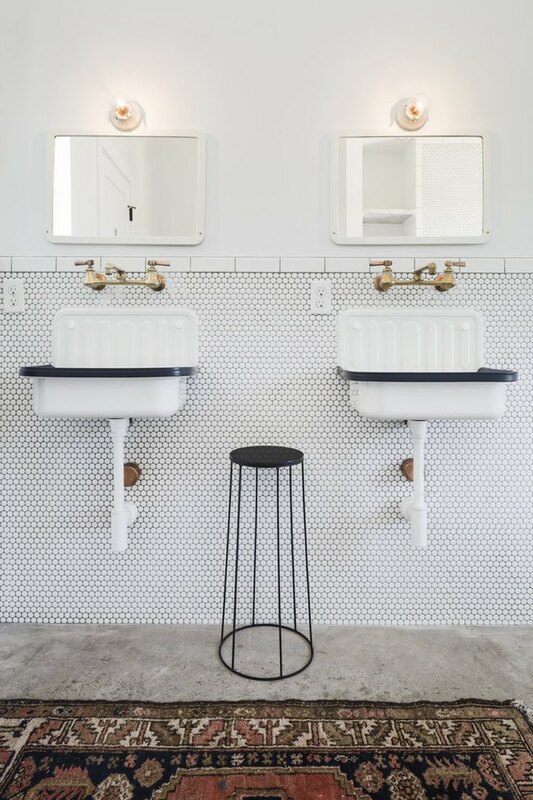 Having two bathroom sinks is alway popular, but what about this double industrial sink look for your bathroom? Yes. I would put this in my home. 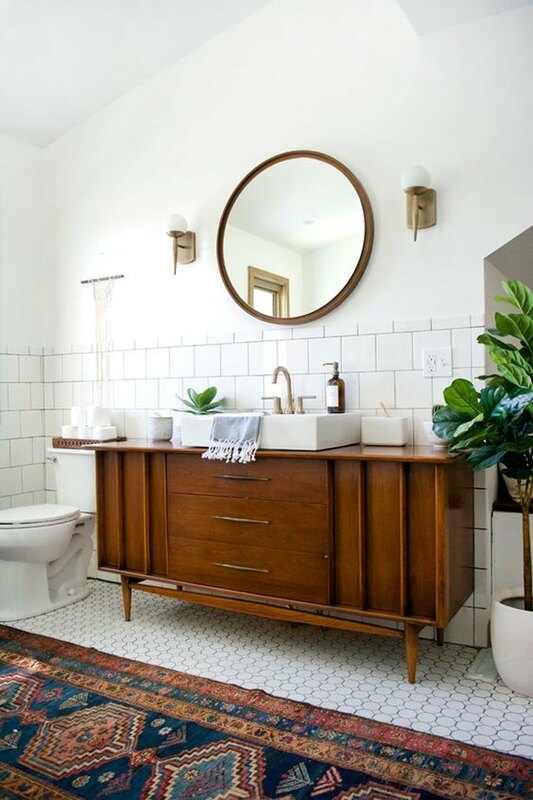 Although there are many elements that make up this retro bathroom, the old credenza is the focal point. Would you put this in your bathroom? Yes. I would put this in my bathroom. No. I would not put this in my bathroom. Yes. 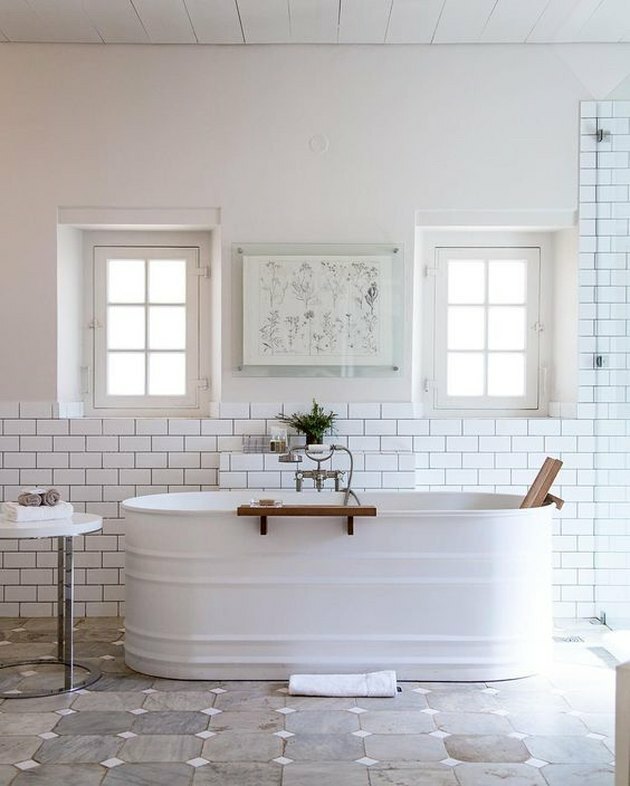 I would have this style of bathroom. 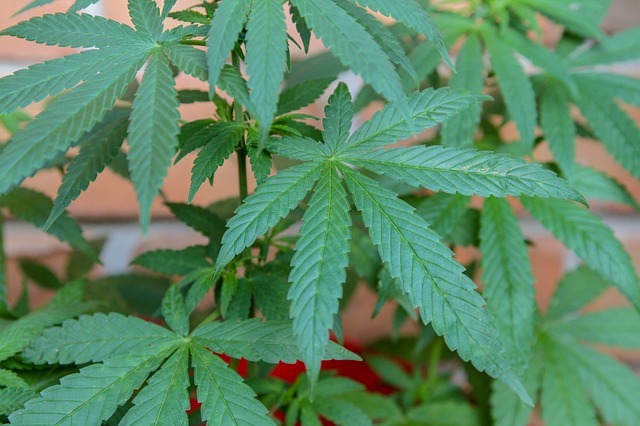 It’s now legal to purchase and grow small quantities of marijuana in Ontario. For home buyers it’s important to know that there could be information that MAY BE disclosed in a real estate transaction, at the seller’s discretion concerning marijuana, but not all information from a seller MUST BE disclosed. Cannabis legalization does not impact the laws that dictate when disclosure is required, so here are a few things to keep in mind as a homeseller or homebuyer now that the legalization of cannabis has occurred in Canada. What facts may constitute a stigma will vary from buyer to buyer, depending on their sensitivity regarding certain issues. For example, one buyer may believe a home where a single marijuana plant was legally grown is stigmatized, while another buyer may have no concern whatsoever. In Ontario, there is no requirement on sellers to disclose the existence of facts that may elicit stigmas in buyers. However, I can as your buyer’s representative, make specific inquiries about issues that are important to you. Patent defects are readily visible or can be identified during a home inspection that does not involve making holes in the structure or removing access panels. For example, damage or visible stains may suggest a water leak from the roof. There is no requirement for the seller to disclose patent defects. Before listing a property, it’s important for you to discuss with me as your seller representative, any issues with the property that may be relevant to the sale. When it comes time to sell your home it is important to discuss with me as your seller representative the trade-offs of proactively disclosing the home’s history to a potential buyer. What is up for discussion is what has happend in the home while you owned it, while also fully understanding that you as the seller may not know anything about the home before you owned it. A buyer’s sales representative may also specifically ask whether the home has ever been used to grow marijuana. In this case, there are two options: you may either answer truthfully, or decline to answer the question and direct the buyer to conduct their own research. The choice of these options lies exclusively with you the seller. My responsibility to you as a buyer is to work with you to ensure the property is suited to your needs. A key component of that is a clear understanding of what you want and what you need in a property, and what you absolutely do not want. During these buyer conversations, if the you made it clear that you do not want to purchase a home where marijuana has been grown, there are several actions that can be taken to ensure your wishes are met. First, when you as a buyer are interested in a property, I as your agent can make direct inquiries to the seller’s representative. The seller’s representative may opt to answer the inquiry, or, give direction to conduct your own research. Second, no matter what response the seller provides, it’s advisable to conduct independent research into the property’s past. This could include a simple online search of the address, or obtaining other public records regarding the property. 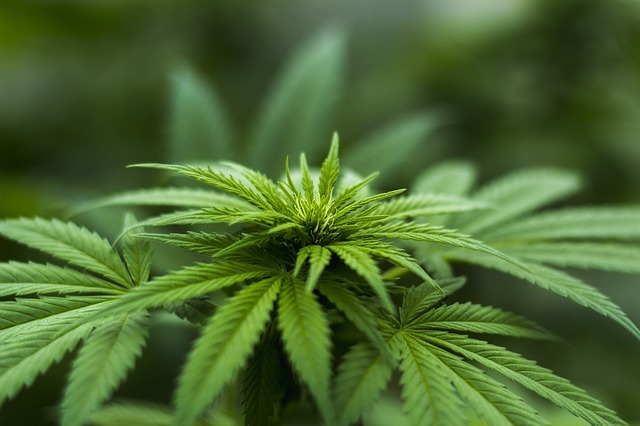 Many municipalities or police services maintain registries of residences that have been used to grow marijuana illegally, but often this information is also kept confidential due to privacy regulations. Most often any search will uncover only major grow-ops, not the small-scale growing of a few marijuana plants. Third, as your buying agent, I can include in your offer a seller’s warranty that the home was not used to grow marijuana. Typically, and for obvious reasons, these types of warranties should only cover the period of the seller’s ownership and occupancy. Depending on the language of the contract provision, if the seller refuses to agree with the warranty, it may indicate that the property was used as a marijuana grow-op, or, it may simply mean that the seller doesn’t know what went on in the property before they bought it. Contact me with any questions you have concerning this topic or any area of interest for buying or selling in real estate here. If you wish you had a larger workshop area in your basement or garage, perhaps all you need is one of these. The solution might be to get all your favourite tools better organized and readily available to work with them with a flip workbench. When I first learned about the flip workbench I had one of those “Why Didn’t I Think Of That?” moments. When I started to look into it I discovered that many people thought about this great solution to a better work area and the ideas range from elaborate to simple, but all are very effective. Here are a few ideas surrounding Mobile Flip Workbenches. The first one is a basic flip bench that Crafty Trev put together. Wait until the end of the short video to understand this simple table with big benefits. Here’s the link to all of Crafty Trev’s details on building this bench. For a more elaborate flip workbench take a look at this baby that Kent put together. Here’s the link for all the details on the elaborate flip workbench in the video above. Elisha from Phoenix calls herself a serious DIYer. Below is her creative touch for a flip workbench. 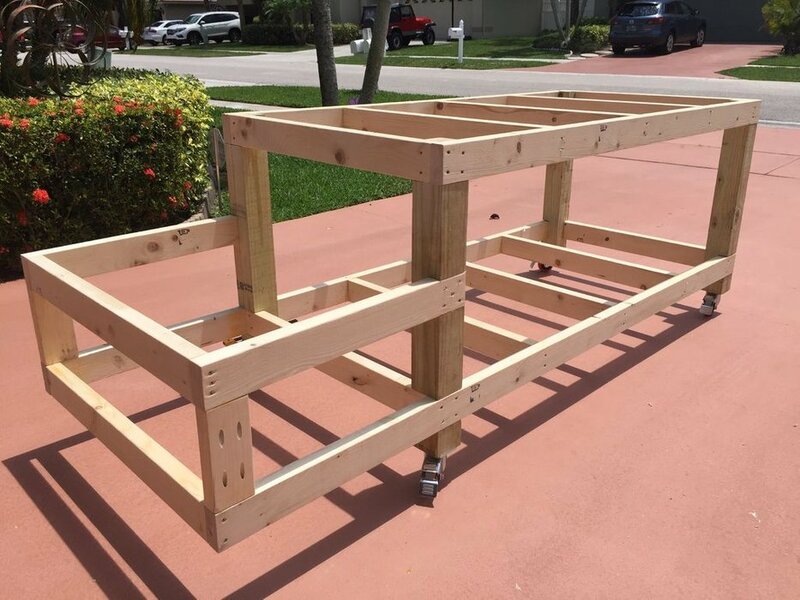 Here the link to Elisha’s Flip Top Workbench. As mentioned, there are dozens of ideas on the flip top workbench. Pick your favourite features and add a practical, functional addition to your favourite work area. Good luck on amalgamating the best ideas for your own DIY Flip Workbench. 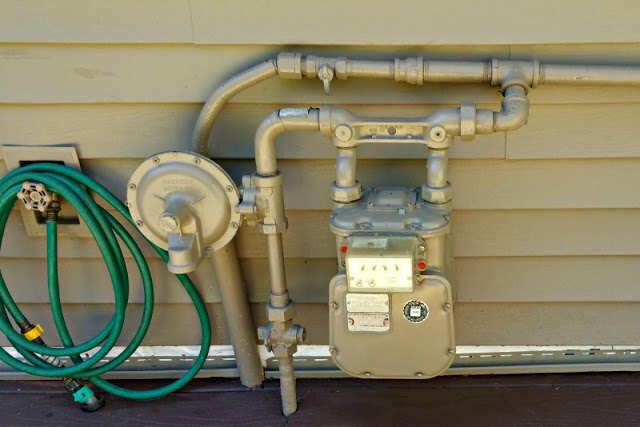 Sometimes a very necessary, but very ugly gas metre is situated in an area that is least desirable with plans for around your home. With a little creativity and not a huge investment, you can wave your magic wand. Get the full story on hiding an ugly utility metre here. 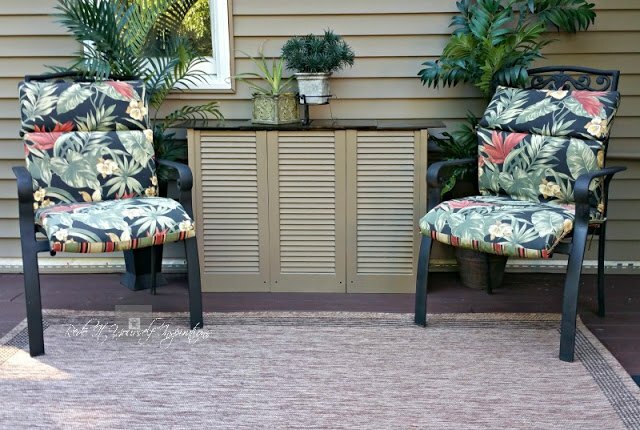 Find out what is hiding behind this and get many other ideas on hiding the ugly around your home here. In an older home often you have areas where you want more lighting, but the lack of wiring makes this difficult. You’re faced with an extension cord to plug in a lamp or hiring an electrician for the wiring you’ll need to provide a wall or ceiling light. 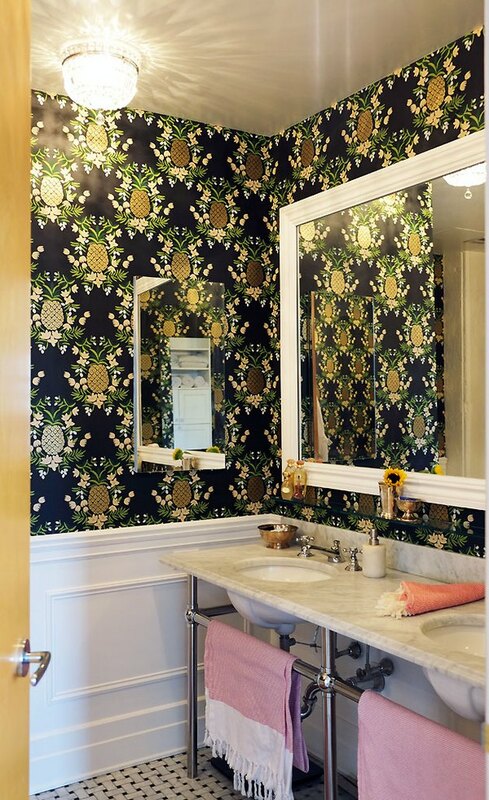 Here’s an idea that is both economical and with your creativity can be a stunning addition to your home. 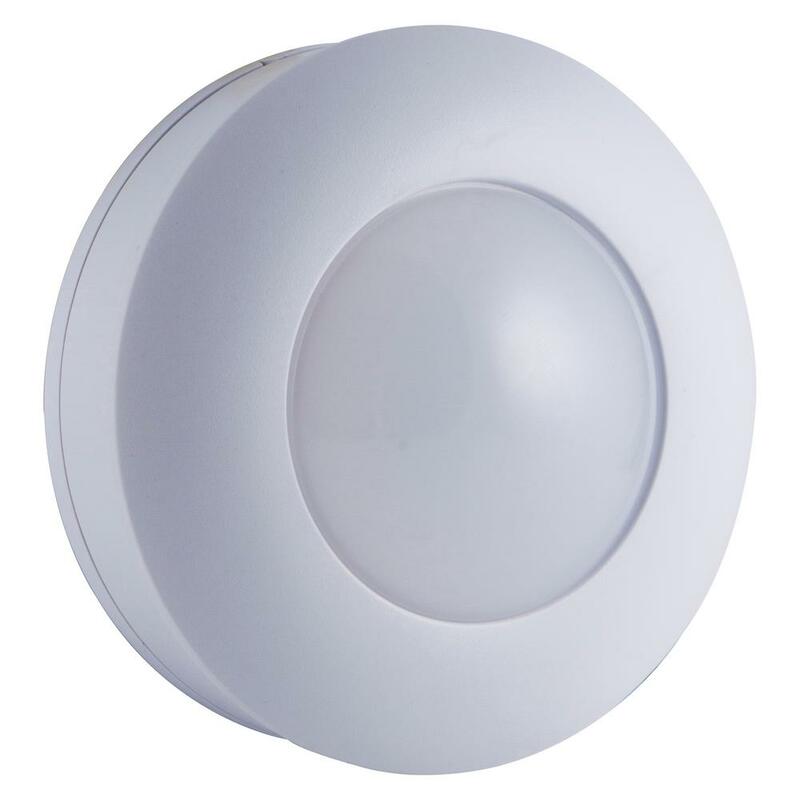 Not only can wireless puck lights add light to those dark areas of your home, but with a little imagination they can create a stunning area in your home that in the past was impossible without ugly extension cords or the added expense for rewiring an area of your home. Take a look at this idea from Within The Grove and then let your own creative mind go to work for what might be possible in your own home. Click picture above for Within The Grove explanation of using Puck Lights for this stunning accent wall.